MARYLAND – Novavax Inc said its experimental Ebola vaccine induced a substantial immune response to the deadly infection in an early-stage trial involving 230 healthy adults. The Ebola GP Vaccine was well tolerated and elicited very high Ebola antibody responses at all dose levels, the company said. 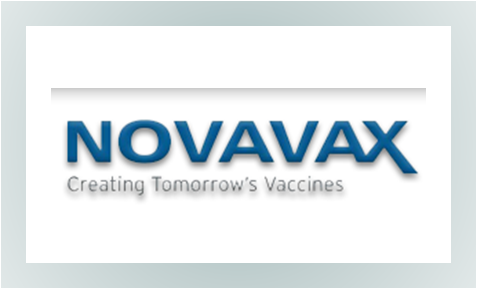 Novavax has the means to make millions of doses per week, and is in “fairly advanced” talks over possible tie-ups with governmental and non-governmental entities to develop the vaccine further, executives told Reuters on Tuesday. Potential partners include the Biomedical Advanced Research and Development Authority (BARDA), a division of U.S. Department of Health and Human Services, which Novavax is already working with to develop influenza vaccines. The Ebola epidemic in West Africa is the largest on record and has killed more than 11,200 people. But with vaccines from Bavarian Nordic, GlaxoSmithKline Plc and Johnson & Johnson currently in mid-stage studies, analysts such as JP Morgan’s Cory Kasimov see only a limited commercial opportunity for Novavax’s version. “We’re not at the same stage as some of the other developers… but what we have is an improvement over what’s already being tested”, said Dr. Gregory Glenn, senior vice president of R&D. Novavax is unsure when it will be able to proceed to the next stage of development, but is aiming for approval under the “animal rule”, a comparatively shorter developmental pathway. The U.S Food and Drug Administration’s animal rule allows developers to combine safety and immune system response data in humans with data from experiments on animals in exceptional circumstances. If all goes well, the vaccine could be market ready in two to three years, Glenn said. Mid-stage data on company’s lead experimental vaccine, which targets respiratory syncytial virus (RSV), the most common cause of lower respiratory tract infections in young American children, is expected later this quarter. The Ebola vaccine data builds confidence in other areas of Novavax’s pipeline, particularly the RSV program, which uses the same technology, Kasimov said. Gaithersburg, Maryland-based Novavax’s stock rose as much as 5.5 pct to a more than 13-year high of $13.12 on Tuesday, before reversing course to trade down marginally.